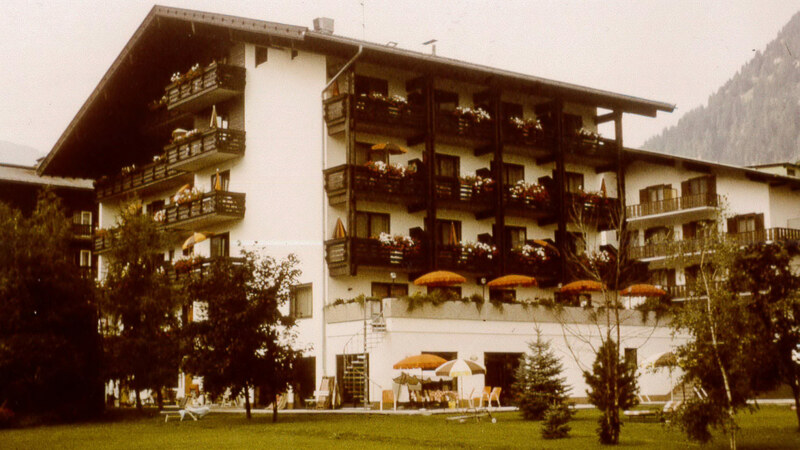 Die The history of the Hotel Bismarck started on 20 May 1966 when Thomas and Olga Schmidt opened a guesthouse with 30 beds. 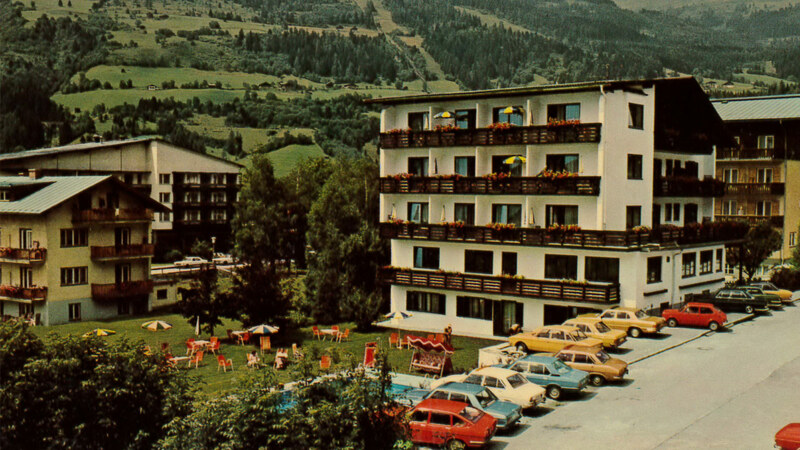 In 1971, a dining room and lounge area were added and the Pension Bismarck guesthouse became the Hotel Bismarck. 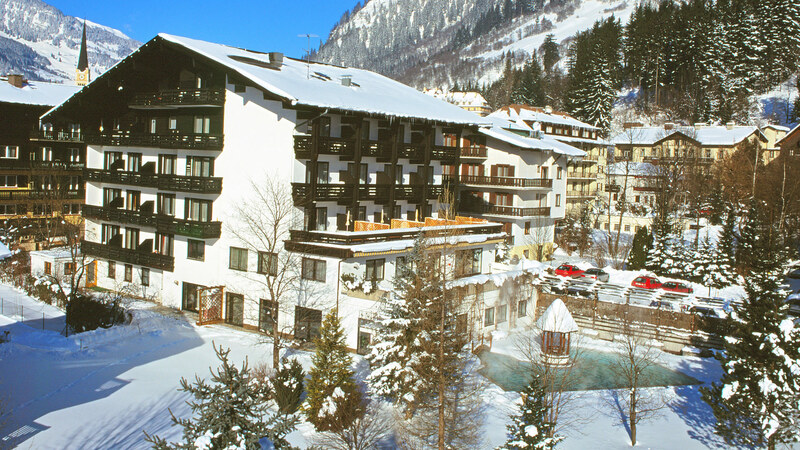 The major leap forward came in 1981 with the opening of the first private indoor thermal pool in Bad Hofgastein. The hotel grew to 39 rooms with 66 beds. 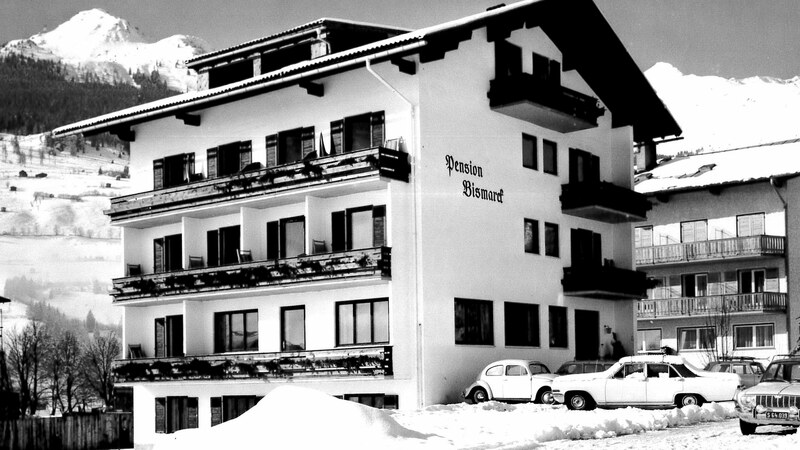 1990 saw the building of the outdoor thermal pool with sauna area and the Bismarck Schlössl with 12 guest apartments, bringing the number of beds to 90. 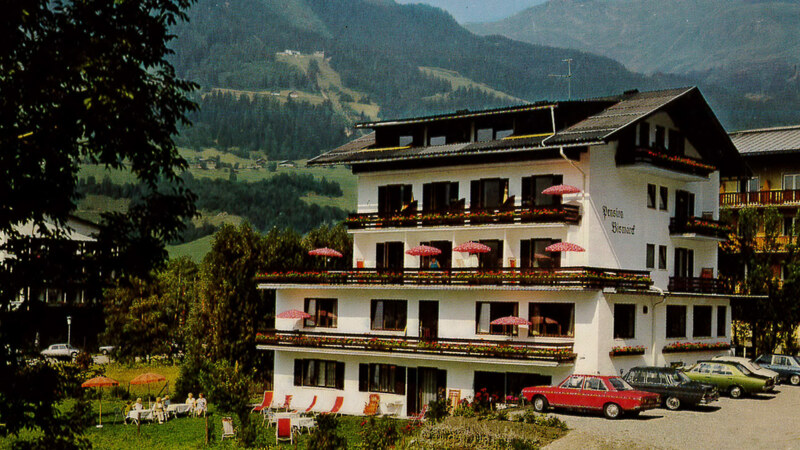 In 2001, Christina Wendler, the hotel owner’s daughter, and her husband Ulrich returned to her parents’ establishment. This was also the year that our hotel spa, a 900 m² wellness paradise, opened. 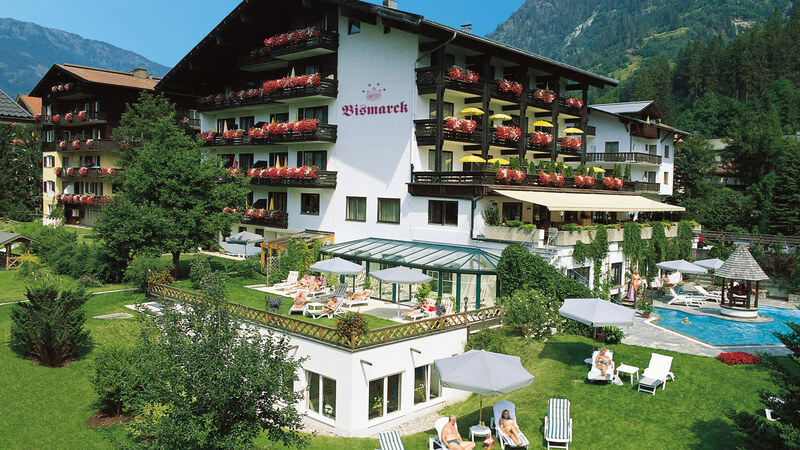 Christina & Ulrich Wendler took over the hotel on 1 January 2004 and renamed it “Verwöhnhotel Bismarck”. Constant expansions and quality improvement characterised the following years. The highlight came in 2007 with the building of the Fürstenhaus. After just nine months of construction, the Fürstenhaus officially opened on 25 July. It is home to 24 new rooms, a completely new restaurant and kitchen, a second water world with indoor and outdoor thermal pools, and 30 additional underground parking spots. At the time, we had 73 rooms with 130 beds. There hasn’t been a year without building or renovation during our autumn break. The next big step in our master plan was the construction of the bar and 10 new rooms in the Stammhaus in 2010, built in a record time of just five-and-a-half weeks. The four storeys of the southwest side of the Bismarck were extended by two metres. A new hotel spa area and panorama luxury suites were built in 2012 and 2013. 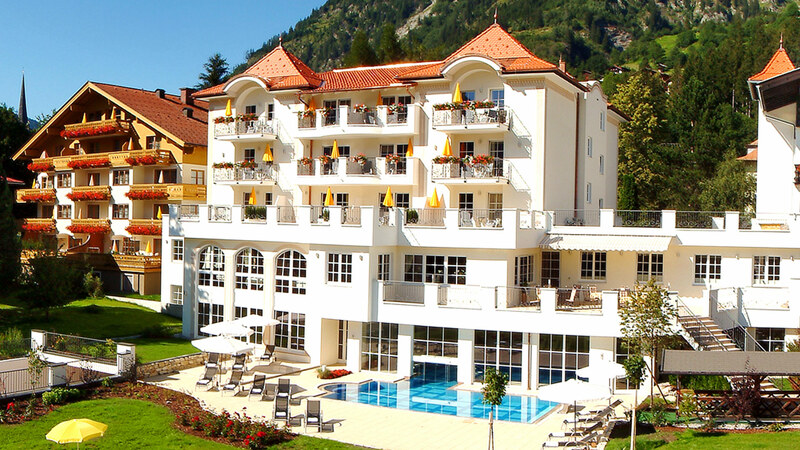 The next major renovation work was done in 2014: 24 rooms in the Stammhaus were completely refurbished and redesigned with a modern-alpine look. The 24 bathrooms were also completely redone with separate toilets. The rest of the suites in our Schlössl were completely renovated in 2016. We now have 75 rooms. Christina and Ulrich Wendler are hoteliers and hosts by calling. Our motto “a little bit of bit more of everything” is celebrated and lived by the entire team. You will find a nod to our “follow your heart” philosophy in our garden – the Bismarck emblem, a large heart. Christina and Ulrich Wendler’s pride and joy are their two daughters, Alexandra and Marie-Therese. Marie-Therese currently studies sales and marketing in Vienna. Older sister Alexandra studied tourism and is currently working for a marketing agency in Munich. She is strongly considering returning to the hotel in a few year's time. We look forward to welcoming you and pampering you at our hotel spa – follow your heart to the Hotel Bismarck.